Gosh can you already believe tomorrow is Friday?! The temps are supposed to drop real low her in Chicago. I'm just not ready for all the chilly just yet!! I've had this coat from the Loft since last year and I still love it. and quickly changed his mind. That's the one thing about coats that seem a little more conservative. Throw on some gym shoes, grab a beanie, a dope bag and just go! Looking amazing ! Love how you styled this look ! Adore this coat, so unusual! Your sneaks match with it too, how cute! What a gorgeous jacket! I'm all about leopard print! 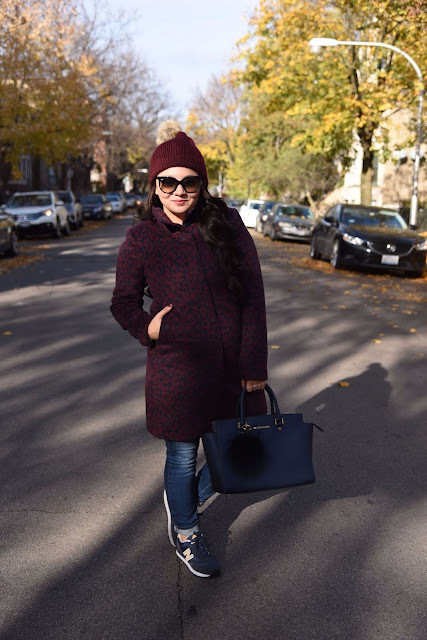 This coat is so cute! I love the color combo. That coat is so cute! I love the color and patterns! 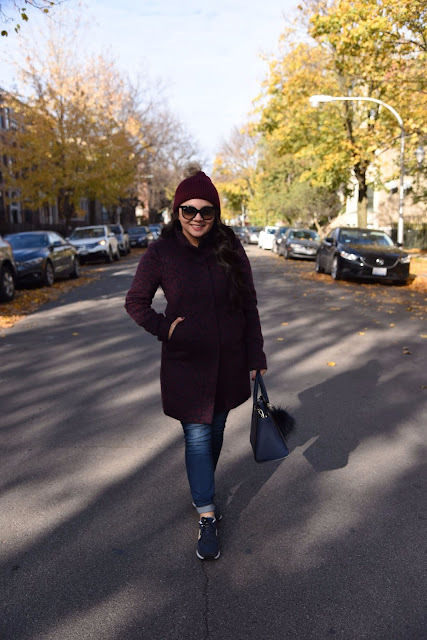 This coat is too perfect- and I love that fun beanie on you! Oh how I am loving your laid-back winter leopard look......Especially that cutesy little pom pom what a true BABE! Cute outfit! Loving the coat and hat! 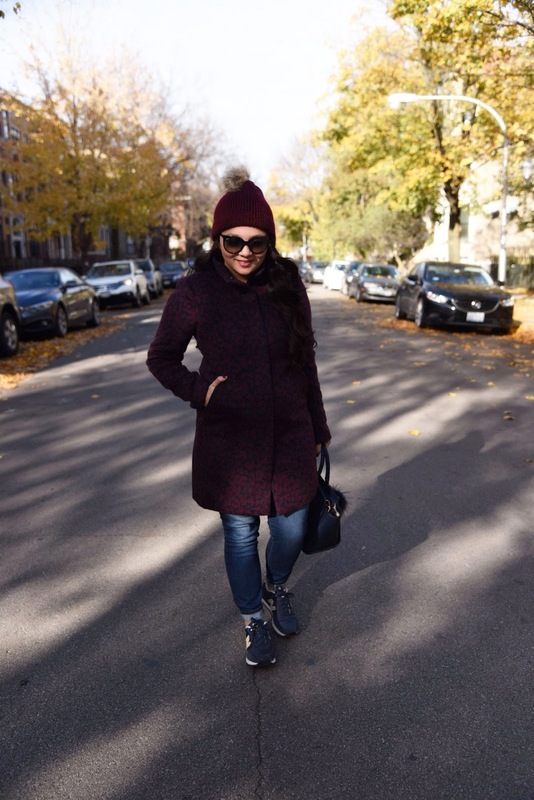 i love how you styled the coat with sneakers - gives it a chic and casual vibe!